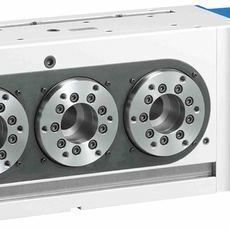 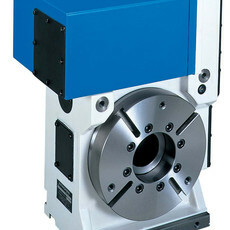 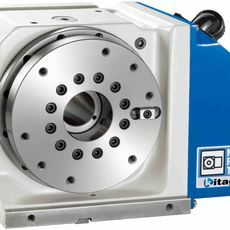 165mm work gripper with built in air cylinder. 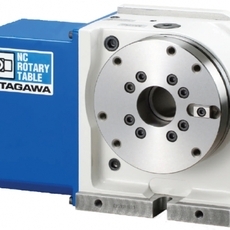 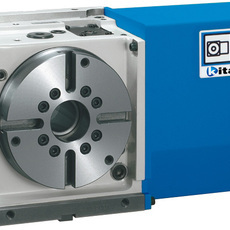 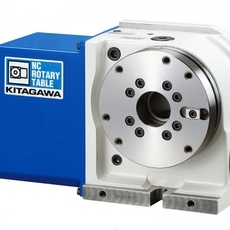 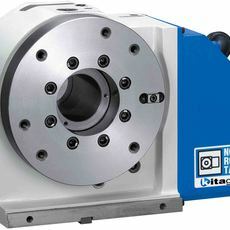 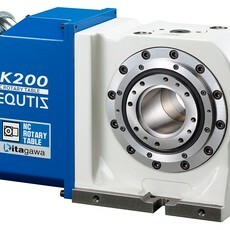 Kitagawa's standard stationary work gripper. 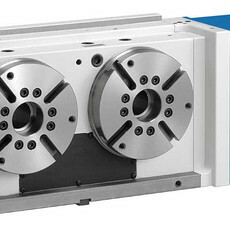 High precision and high gripping force allow for stable cutting. 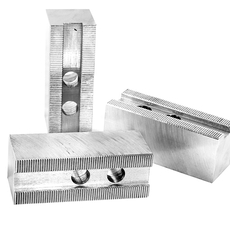 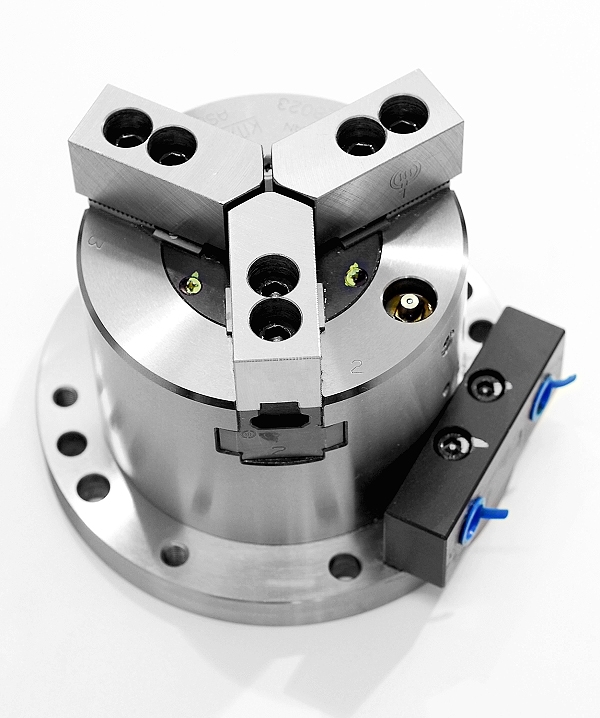 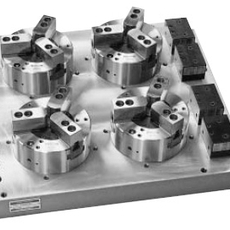 *Clamping force varies in clamping state for jaws and workpiece. 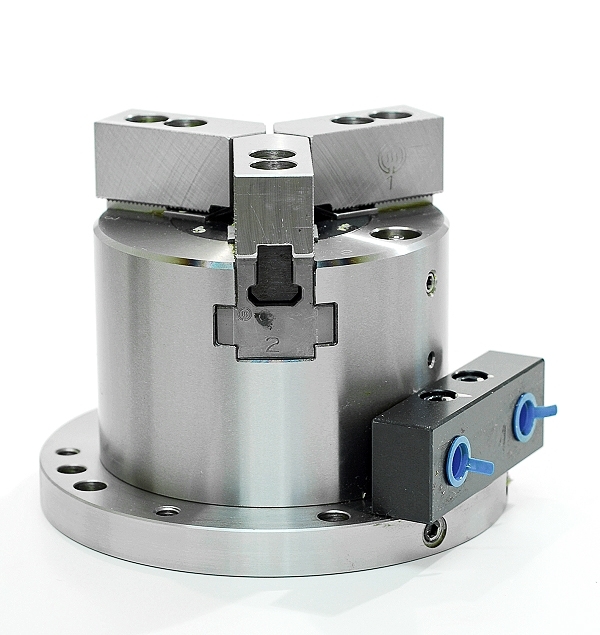 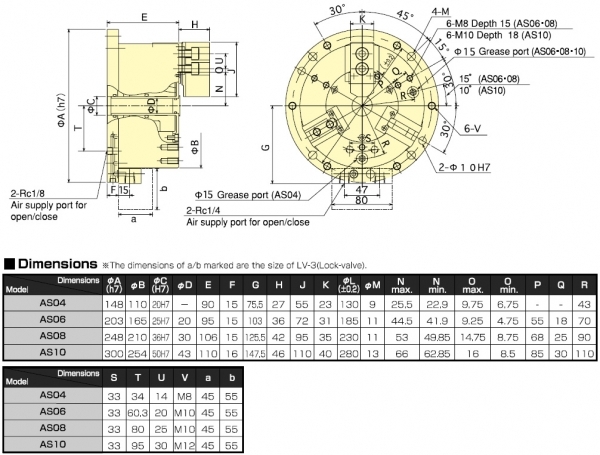 *Air consumption = Under Pressure 0.6MPa Plunger Stroke per 10mm.